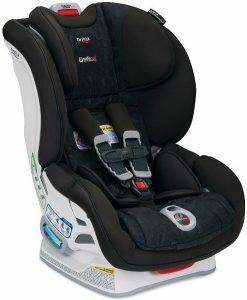 Britax is one of the most popular brands for child’s car seat. You can find Britax Advocate Clicktight and Boulevard Clicktight as two of few options for convertible car seats introduced by Britax. There are several similarities that you can find between Britax Advocate Clicktight and Boulevard Clicktight that may make you confused on which of them is the one that you should choose. This review will talk about Britax Advocate Clicktight and Boulevard Clicktight then discuss more about their differences to help you decide which of them is the one that you should choose. 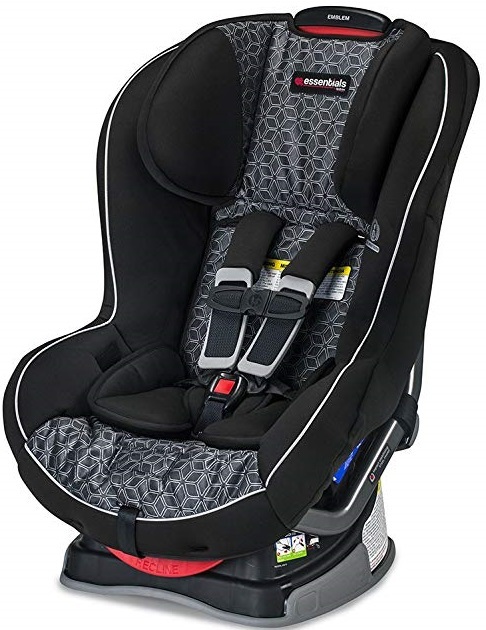 One of the most popular choice for premium convertible car seat is Britax Advocate Clicktight. Britax Advocate Clicktight is the top model for Britax’s convertible car seat product range nowadays. Britax Advocate Clicktight is completed with Clicktight installation system that replace the conventional Britax’s Latch connectors. Clicktight installation system makes this car seat very easy to install while It’s also secure. Britax Advocate Clicktight also comes with one of the best side impact protection with 3 layers of side impact protection. While It also comes with very secure SafeCell impact protection as its main security feature. SafeCell impact protection consists of steel frame, impact absorbing base, v-shaped impact absorbing tether with staged-released stitches. 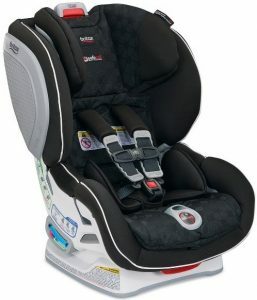 Briax Boulevard Clicktight is also one of popular choice for convertible car seat from Britax. It’s positioned as the lower model than Advocate Clicktight. Britax Boulevard Clicktight comes with Clicktight installation system that make it easy to be installed with It’s also safe and secure. Britax Boulevard Clicktight is also completed with SafeCell impact protection system. It’s a combination of steel frame, energy absorbing base, V-shaped tether and staged-released stitches. V-shaped tether is able to prevent seat rotation, while staged-release stitches is reducing the forward movement that happen during an accident. 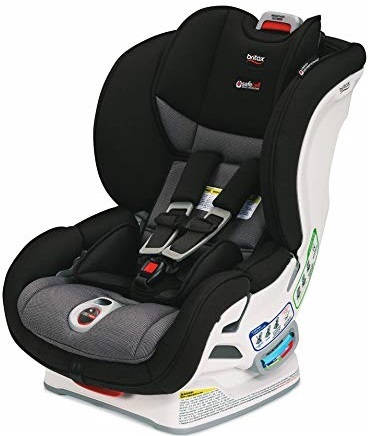 To make sure that you child fit to the car seat as They grow, Britax Boulevard Clicktight comes with easy to adjust 14 positions harness that make it easy to fit your child in the car seat. We need to know the key specs and features of Britax Advocate Clicktight and Boulevard Clicktight before We talk more about their differences. The specs and features of those two convertible car seats can be found on the table below with comparison format. We can find the similarities and differences of Britax Advocate Clicktight and Boulevard Clicktight from the table above. Are you interested to know more about their differences? Let’s discuss more about their differences together. Both of Britax Advocate Clicktight and Boulevard Clicktight comes with side impact protection. But They come with different number of layers of side impact protection. Britax Advocate Clicktight comes with 3 layers of side impact protection, while Britax Boulevard Clicktight comes with 2 layers of side impact protection. With more layers of side impact protection, you can be sure that the kids are well protected from side collision. Britax Advocate Clicktight is positioned as the higher model than Britax Boulevard Clicktight. So It’s fair that It’s offered at higher price as well. What about their price difference? We can find Britax Advocate ClickTight and Boulevard ClickTight price often change from time to time. So it’s recommended that you check the latest price of those two convertible car seats to find out their latest price difference. Should You Choose Britax Advocate Clicktight? Share the post "Britax Advocate Clicktight vs Boulevard Clicktight Review"